The Detroit airwaves just got a bit more interesting today with yet another format change that is one part nostalgia and another part Lazarus. WLLZ-FM “Detroit’s Wheels” has returned – same bat time, albeit different bat channel (and musical approach). It’s worth both an historic as well as contemporary look. WLLZ, as most know, was an iconic rock station positioned at 98.7 FM that went head-to-head with WRIF in its fifteen year run from 1980-1995, boasting Hall-of-Fame caliber on-air personalties that included Ken Calvert, Jim Johnson, Lynn Woodison and others too numerous to mention. In time, it would move on to “Smooth Jazz” and, most very recently, to “The Breeze,” an adult contemporary (A/C) station. Wheels is now positioned far to the right of the dial (which many call “no man’s land”) at 106.7 FM, where past stations have both prospered and languished. “W4” began there perhaps most famously in 1971 as an early AOR (album-oriented-rock) station and would see the likes of Howard Stern and Steve Dahl sit behind the microphone there over time. The station was next country for years before switching to Rock (“Alice”) in 1999 and “The Drive” in 2016. 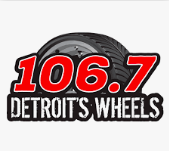 Interestingly enough, WDTW became a “Classic Rock” station (“106-The D”) in 2011, the format that this new iteration of Wheels is subscribing to after running the past two years as alternative rock. This new move, in my perspective as a former radio industry professional, is interesting and makes sense. From an audience standpoint, radio programmers are continuing to recognize that younger demographics are just not listening to traditional radio the way previous generations that grew up on it still do. As such, nationwide, they are moving toward formats that stay away from the kids and instead target older audiences. Urban stations are moving in this direction (witness 105.1’s Urban Hip Hop “Throwback R&B”) and, similarly, Top 40 “AMP” radio very recent change to light rock. Radio listening purists also like personalities to help package the music with other news and tidbits of the day and the new Wheels has brought in top guns like Doug Podell, Trudi Daniels and Bill McAllister to do just that. Such familiar voices and personalities, in turn, possess street cred and an incredible knowledge of the music that they will put forth to add value to the overall listening experience. The move by Wheels musically is also intriguing in that Classic Rock has changed dramatically in this town over the years in the quest for more listeners and greater market share. I can still remember a time when WCSX wouldn’t have been caught dead playing Elton John. Yet, again, why not appeal to women as well as men? In listening briefly to the new WLLZ, it appears “Rock” means “Rock” as I heard a steady stream of just that with: Motley Crue, Van Halen, Guns & Roses and Red Hot Chili Peppers going back to back to back, guitars blaring. It is a Friday night as I write this so it will be interesting to see if the station “dayparts” to lighter fare in the workweek middays; a long time radio programming tool aimed at minimizing in office listening tune-out due to music that is too loud and rowdy. Overall, like a good friend, it is good to have Wheels back in town, even if it sounds a little different and we have to use a little more elbow grease to turn the radio dial east. The W-L-L-Z call letters deserve to be on the Detroit air as do the air personalities who will steer it forward with aplomb and fun. We’ll be listening and doing perhaps just a bit of reminiscing as well.